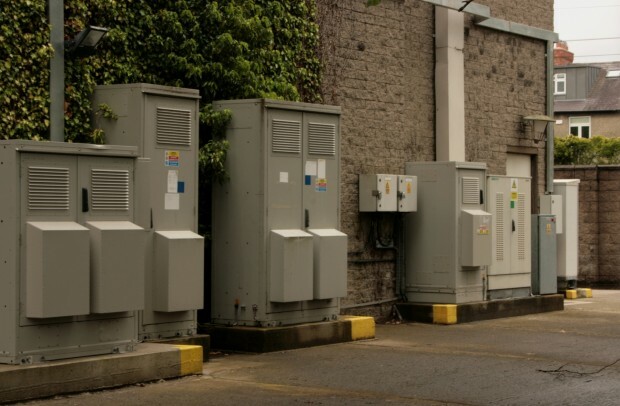 It seems like the only real way to see the Milltown transformer station is from above. Unless you’re with the ESB or are braver than I am about climbing fences covered in warning signs, you can’t circle the perimeter. It’s just seen section by section, framed by rows of houses. 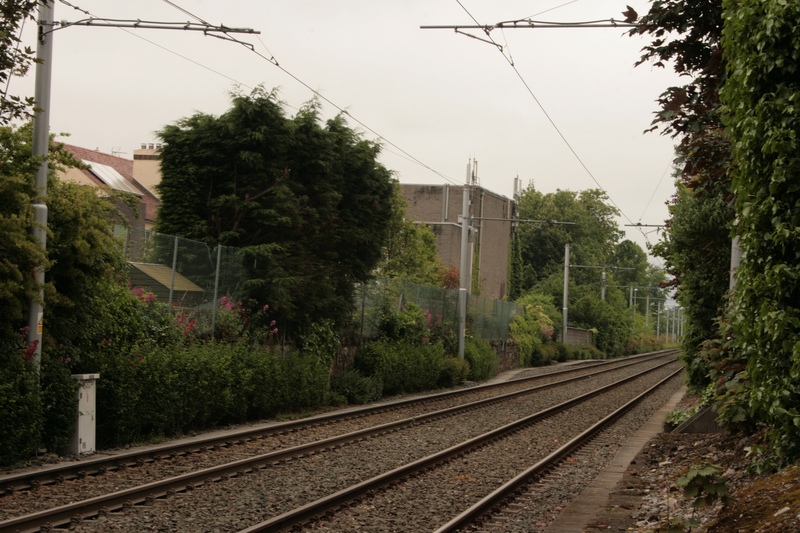 There’s a glimpse of the short elevation if you’re looking to the east on the Luas between Cowper and Milltown. 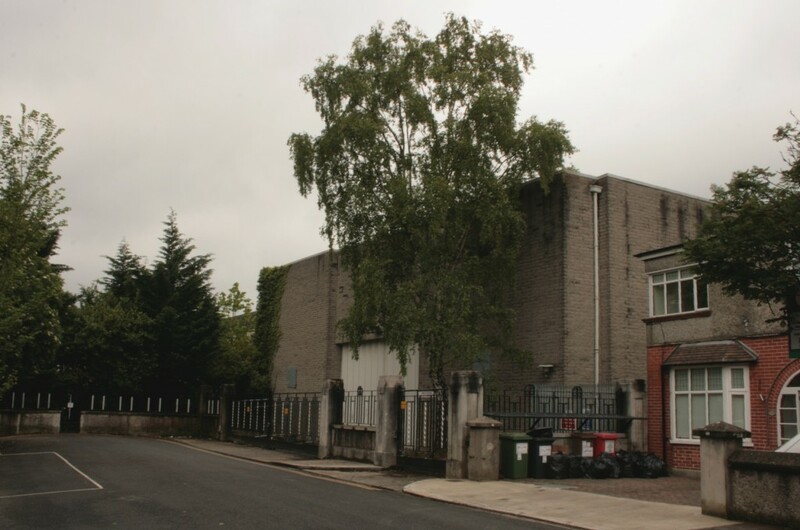 On the long elevations, it’s terminating residential streets (Cowper Drive, Merton Walk), and the final short elevation is the most visible, from Park Drive. According to the ESB’s account of a recent upgrade, this station was built in the 1960s. Sadly, nobody seems to have been excited enough about this one to report on the architect or the completion date. The long sides of the plan have a gentle sawtooth stepping, breaking up the big, blank elevations in rusticated block. 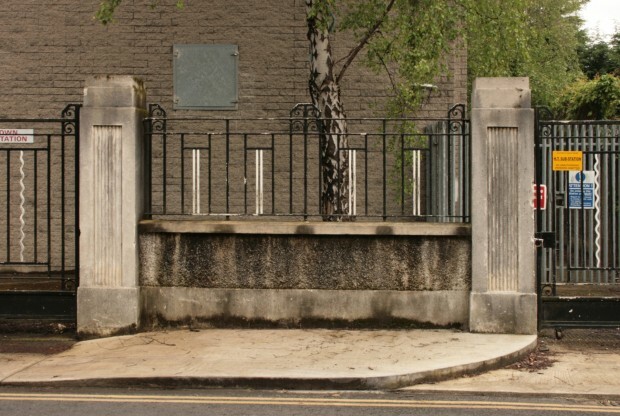 Though the 1930s building is gone, the Park Drive gateposts look very like those depicted with the original building, with fluted panels and blocky, tiered tops. The railings look like either a good impersonation of the original or another vestige of the previous building. Park Drive’s railings are black and white, while Cowper Drive (with newer-looking gateposts that match the building) has only white. I’ve been curious about the building for a while, and I started thinking more about it while training back into running. 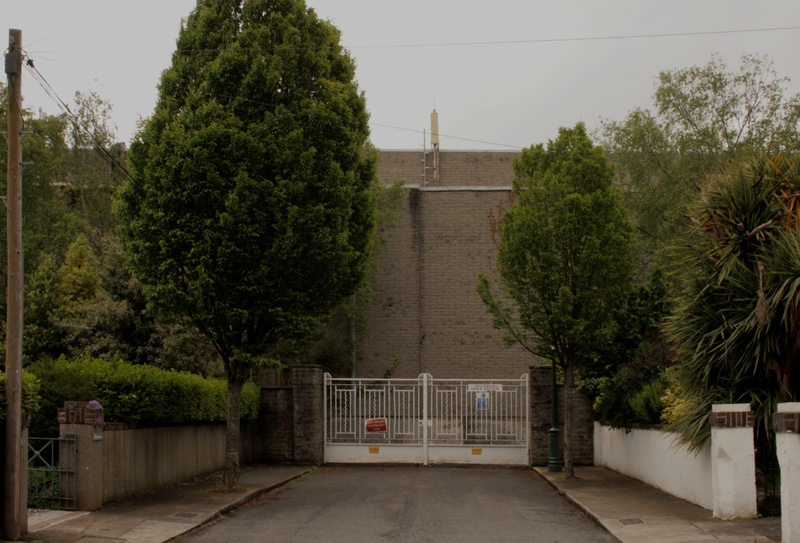 Using Palmerston Road, Rathmines Road, and the Luas line as spines, there are plenty of quiet, pretty streets with trees and dogs and interesting architectural details for entertainment, but Park Drive and Cowper Drive have a particular wealth of beautiful and varied houses. And in behind, there’s this huge utility building and the effort it takes to see it as a whole. This will be the last Built Dublin post for now – the blog is going on indefinite hiatus after 26 months of regular posting. It’s a very hard thing to do, because this has been a wonderful experience and something I’m very proud to have made. It’s not a project I imagined continuing forever, though, and it’s time for me to take a break. After spending some time thinking about a grand finale, I realised I’d rather let the site just be what it is. The site won’t be disappearing and the archives will stay up for the foreseeable future, don’t worry. 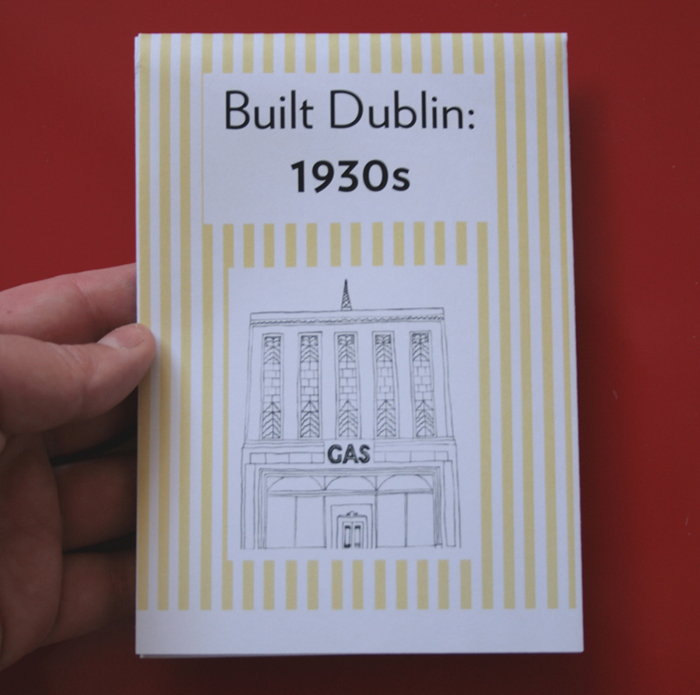 I also have a few Built Dublin-related projects in mind, and I’m going to explore them, and we’ll see what comes next. Thank you so, so much to everyone who has been part of the site and supported it. 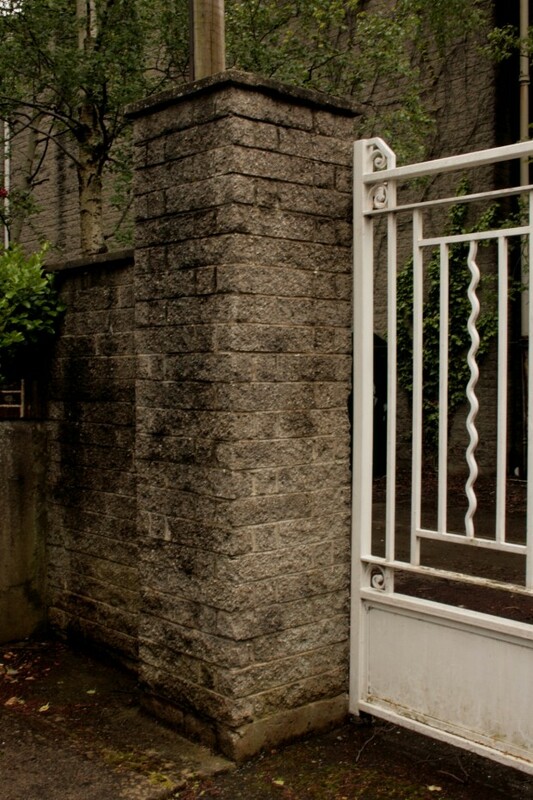 I’ve had the immense privilege of meeting people who get excited about the same things that I do, of getting fascinating emails providing all kinds of detail and insight, and of learning constantly about Dublin and the people who made the city.